If you are thinking about starting a trucking career, it’s vital that you have the right tools to help you learn and find success. 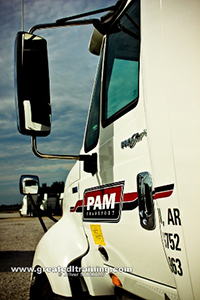 The first thing you need to do is look for an effective training program that can teach you the skills and information needed to earn your CDL. The best CDL training schools should have trainers with several years experience in the trucking industry, and should provide opportunities for students to learn rules and regulations in a classroom as well as get hands on driving experience. Another great way to learn is from other drivers' experiences. We’ve put together a few quick links to some of the most helpful interviews of students that have gone through the Driver Solutions company-paid CDL training program. Driver Solutions is devoted to providing drivers with the right tools to start a successful career in the trucking industry. Our hassle-free training program offers an environment that fosters learning, allowing you to get your CDL and find great opportunities for your career. If you’re ready to jump into the driver’s seat, take a few minutes to complete our online driver application and learn more about your trucking career options.